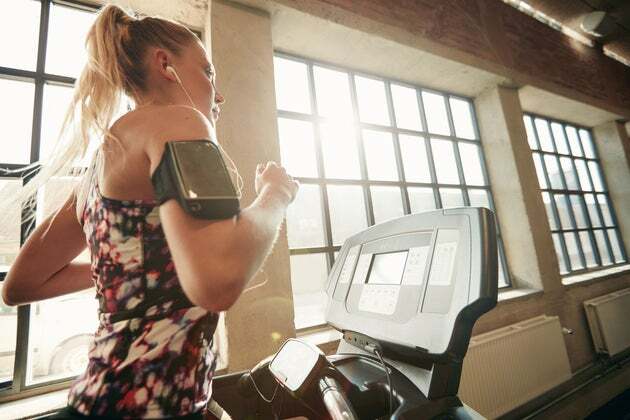 Conquer your next treadmill run with the help of this playlist. Winter may be on its way out, but treadmill season stays around forever. We don’t just hit the ‘mill during the cold and snow. Sometimes it could be the easiest way to get in a workout when kids are home. Or it could be a cool oasis when temperatures start soaring. Yes, it can be boring—but not with this playlist. Picked by our readers, these songs, many of them more than 5 minutes long, will help you conquer any treadmill run. Listen below or CLICK HERE to listen in Spotify. If there is a song you want to see on our playlist next month, tweet us @womensrunning with the hashtag #WRPlaylist.